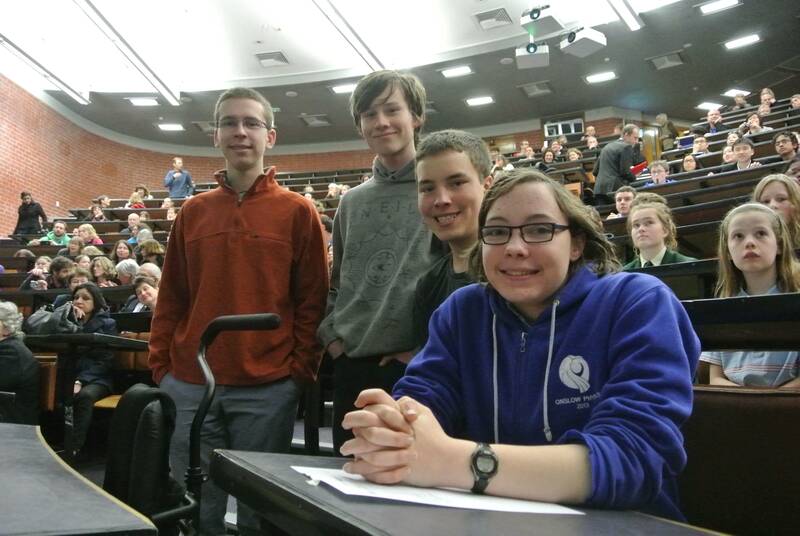 Entries are now open for the 2016 New Zealand Young Physicists’ Tournament. This entry was posted in Uncategorized on September 20, 2015 by phyadmin. Congratulations to the NZ IYPT members Shakked Noy (WHS A team captain, National Silver medallist 2015), Callum Davidson (JYPT silver medallist 2014), Jack Tregidga (NZ team captain 2015) and Catherine Pot (NZ team 2015) at the prizegiving of the Wellington Science Fair 2016. Shakked was highly commended, and won VUW School of Chemical and Physical Sciences prize. Callum won prizes from OPUS International Consultants and IPENZ; Jack won VUW Faculty of Science Prize Innovation Prize, First in category 5-$200 (the category for Years 11-13) and the University of Otago prize; Catherine won VUW School of Chemical and Physical Sciences prize and 4th in category 5 – $50. The University of Otago offer an all expenses paid trip to the 2016 Hands-on at Otago summer school for the entry displaying the best application of the scientific method. The winner will also receive a Canon compact camera. Victoria University of Wellington School of Chemical and Physical Sciences offer a prize of $100 to the best exhibit that explains a principle in either physics or chemistry and demonstrates an application of this principle through a particular technology. Opus International Consultants Ltd offers Junior Prizes totalling $100 in book vouchers, and Senior Prizes totalling $250 in book vouchers, to those projects which best illustrate the use of science and engineering to improve the lives of people. Where possible the prizes may include a visit to an active Opus engineering project. Victoria University Science and Technology Fair Innovation Prize: $4,000 towards fees in the first year of a VUW undergraduate science or engineering degree. The Wellington Branch of the Institution of Professional Engineers New Zealand offers two prizes of $500 each, awarded for presentations of an innovative illustration of an engineering principle. This entry was posted in Uncategorized on August 31, 2015 by phyadmin. 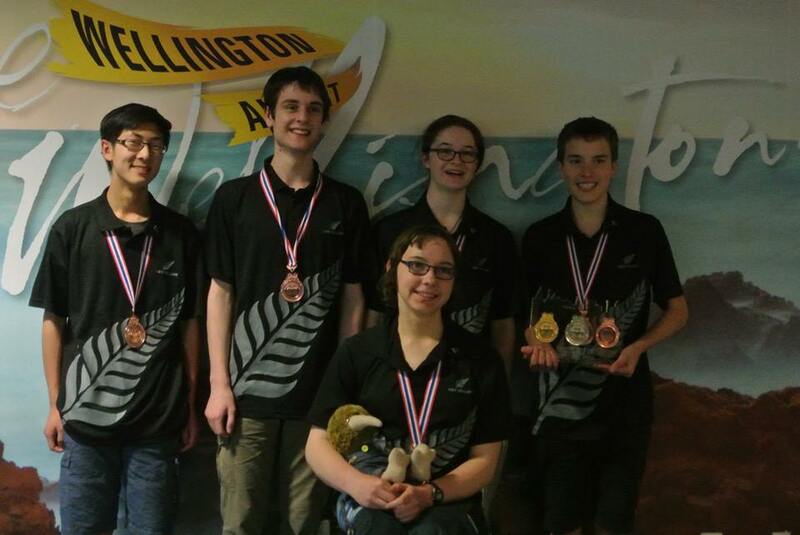 Congratulations to the members of the 2015 New Zealand IYPT team: Jack Tregidga (Wellington High School), Tess Breitenmoser (Wellington High School), Matthew Randle (Onslow College), Catherine Pot (Onslow College) and Nicholas Lam (Riccarton High School) who gained 10th in the world competition in Thailand, receiving a bronze medal. The team can certainly be proud of their accomplishments and once again the international teams know Physics is alive and well in New Zealand. A Special thanks to Gavin Jennings, Kent Hogan, Kerry Parker and Sue Napier for their help with mentoring and preparing the team. In addition all of the technical help and financial sponsorship that we could not do without if we are to properly prepare the team to take on the world. This entry was posted in Uncategorized on July 6, 2015 by phyadmin. This entry was posted in Uncategorized on March 8, 2015 by phyadmin. Date : Saturday March 7th 2015. Venue : The University of Auckland – Department of Physics, Building 303 on Princes Street. This entry was posted in Uncategorized on February 27, 2015 by phyadmin. Competition details for the 2015 New Zealand Competition are now available. This entry was posted in Uncategorized on August 17, 2014 by phyadmin. 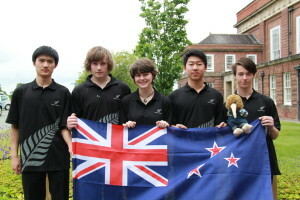 At the world finals for the 2014 International Young Physicists Tournament, the New Zealand team was placed 6th overall so this qualifies the team as Silver medalists! This is another great performance from the team and I am so proud of their achievements. Other teams travel with university professors and spend a month before the competition in a university with access to high tech equipment. The NZ work is done by the students in their high schools after school hours with the support of their teachers and occasional assistance from lecturers in universities that have supported the competition. In particular I would like to thank Kent Hogan, Kerry Parker, Sue Napier and Tristan O’Hanlon for their support of the students in their schools. I know from the supervision of the Auckland Grammar students over the years how many hours it takes to facilitate the research required to gain solutions to the challenging IYPT problems. In addition I would like to recognise the help given to the team by Donald White (IYPT 2008) and Maarten Hoogerland along with many others. This entry was posted in Uncategorized on August 12, 2014 by phyadmin.